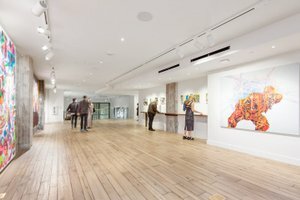 This spacious, newly renovated Art Gallery is located in the heart of San Francisco. 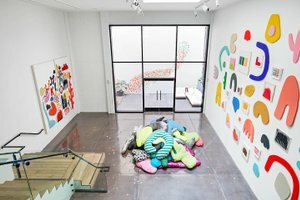 The incredible space is an ideal venue for an Art Opening, Pop-Up Store, Product Launches or Private Sales. Housed in a beautiful building with large windows spanning every floor, this space is modern but retains a classic San Francisco feel. This tasteful retail space is stylish with pristine interiors of white walls, cement wall columns and plenty of natural light coming through the skylight and outdoor patio. 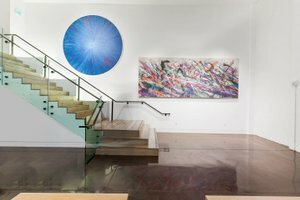 It also includes an expansive first floor with an elegant wooden staircase that leads to the second floor of the gallery with 20’ ceilings. Boasting sound & video equipment, internet, counters and a security system, this space is well-equipped for art openings and pop-ups. 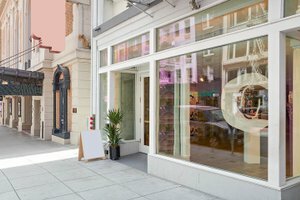 This wonderful space is situated in a dynamic area of downtown close to Union Square. 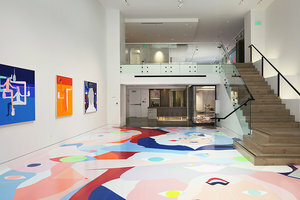 It is an amazing space to host high end pop-ups, art openings and product launches.